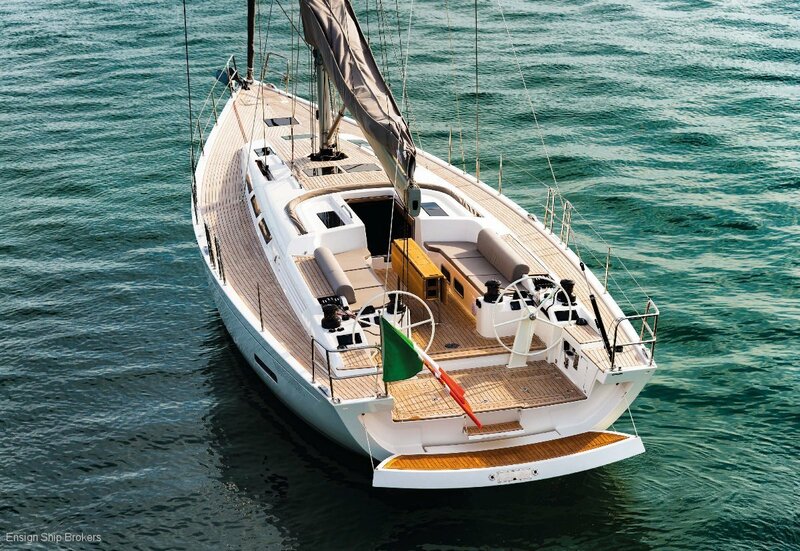 The Italia 15.98 is the flag ship vessel for bespoke manufacturer Italia Yachts. 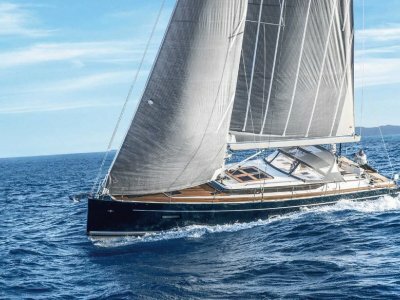 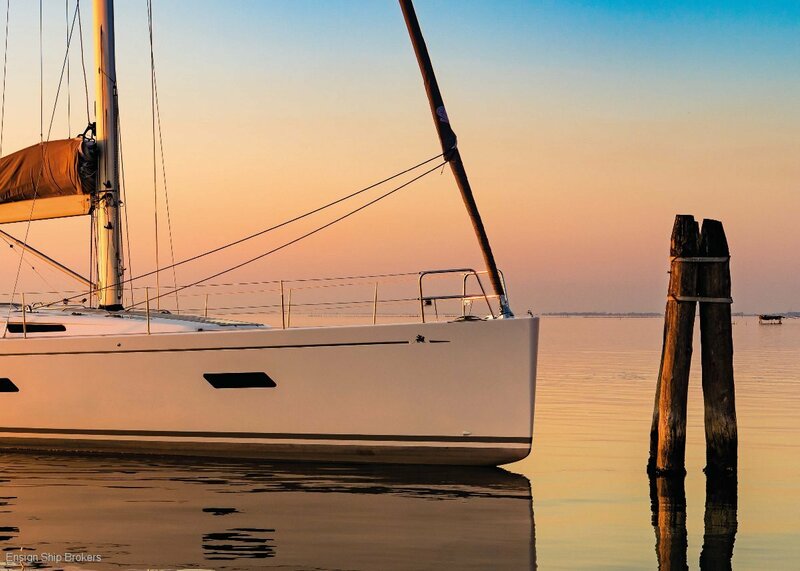 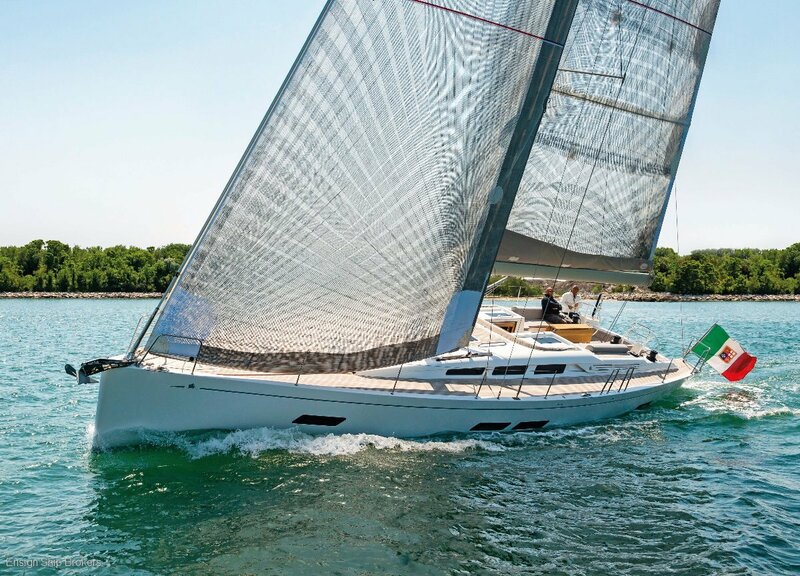 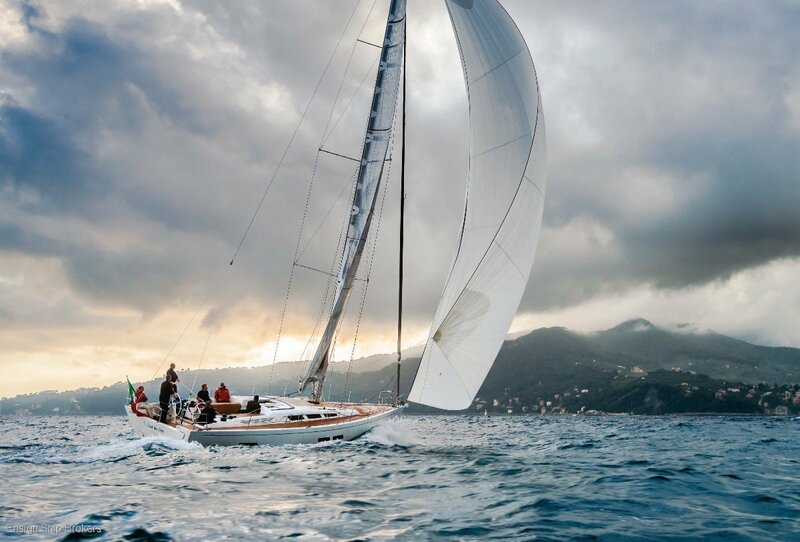 The design team of Matteo Polli and Maurizio Cossutti have teamed to deliver a fast and very capable yacht that is as equally at home fulfilling the role of extended cruising as she is competing in competitive sailing regattas. 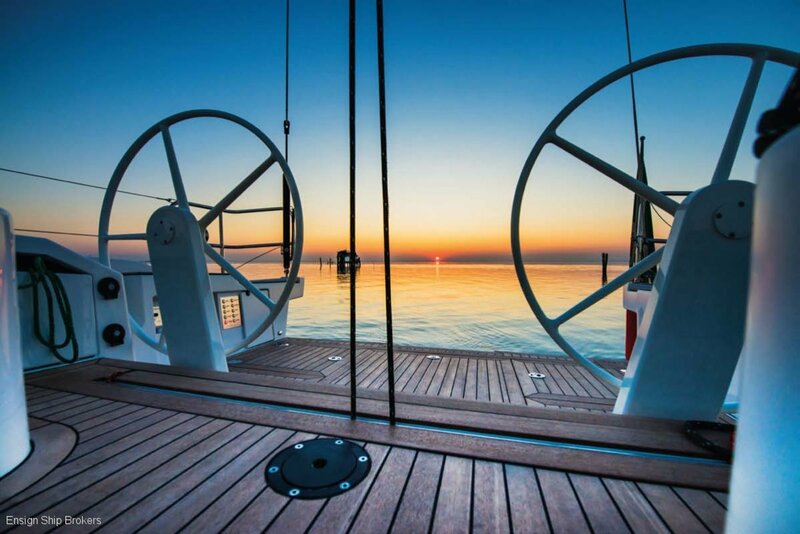 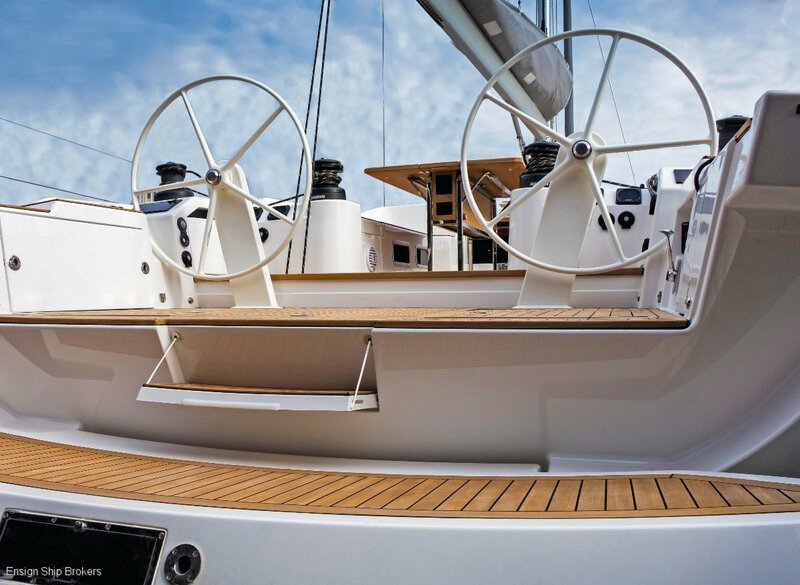 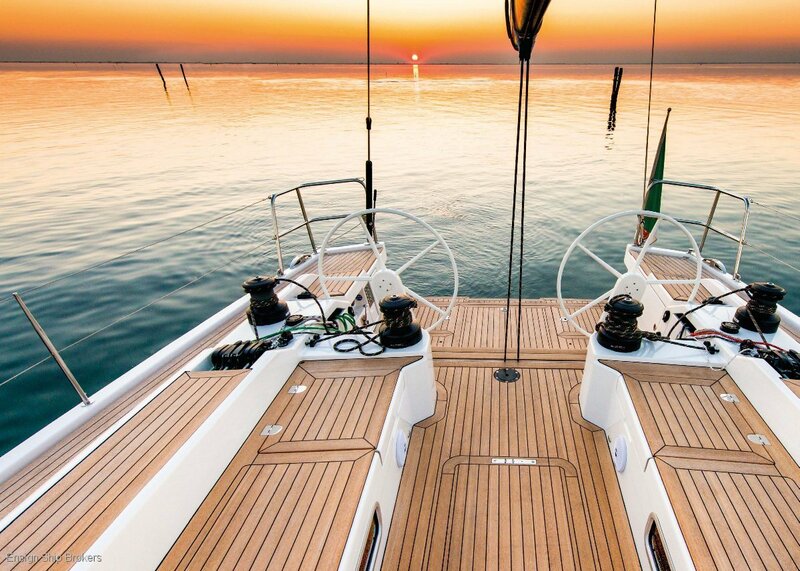 The deck offers organization and features typical of maxi yachts. 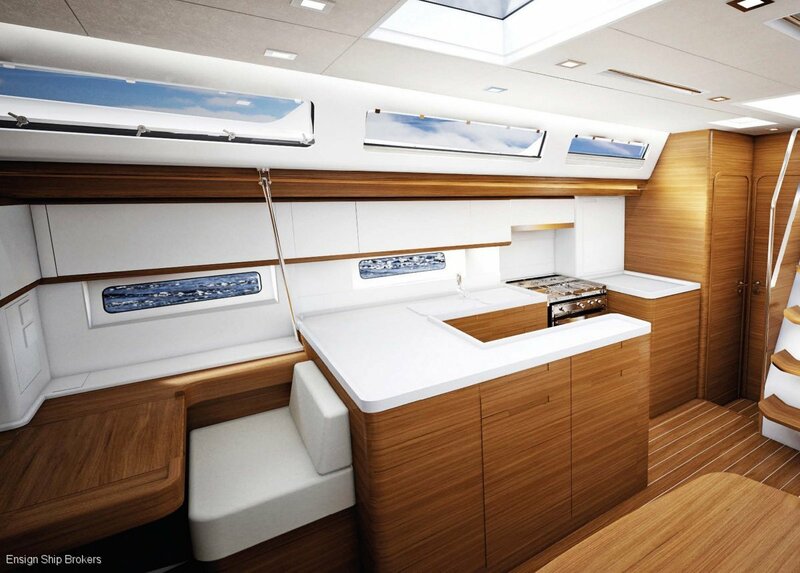 Her design allows for three separate cockpit areas with equipment free and comfortable zoning for guests; a maneuvering area concentrated around the helms with good space for the crew, and aft of the steering a flat surface area clear of equipment that can be fully allocated to relaxing and general observation. 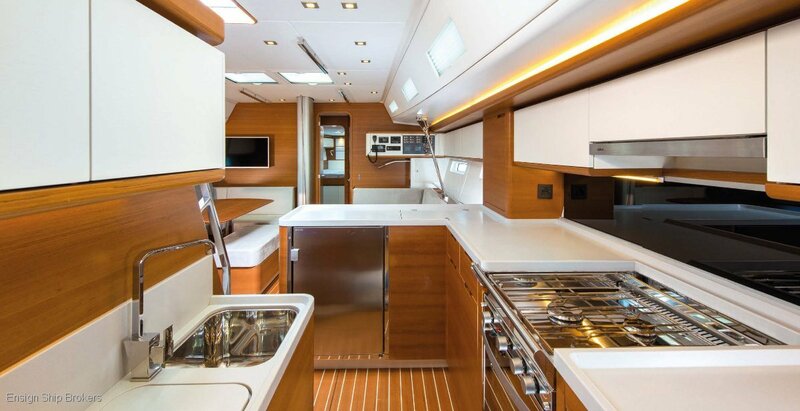 The interior is offered in two different solutions. 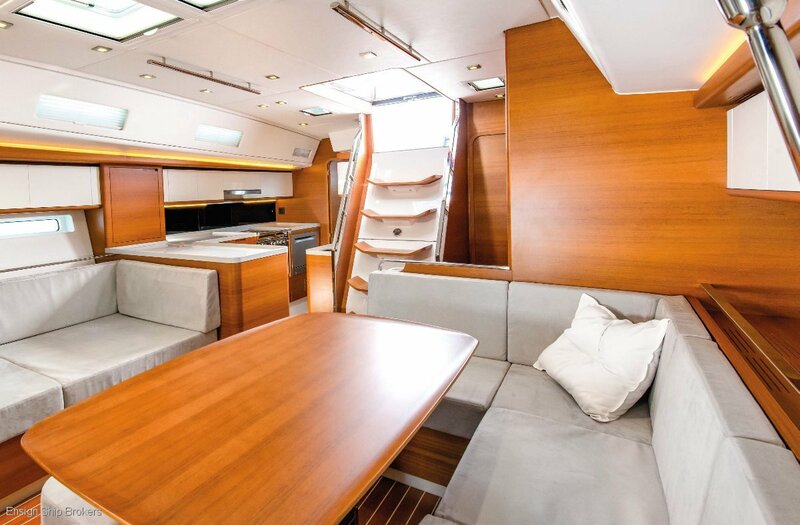 Bright and airy thanks to the many port lights of which seven can be opened, there is comfortable seating and dining for 8 guests. 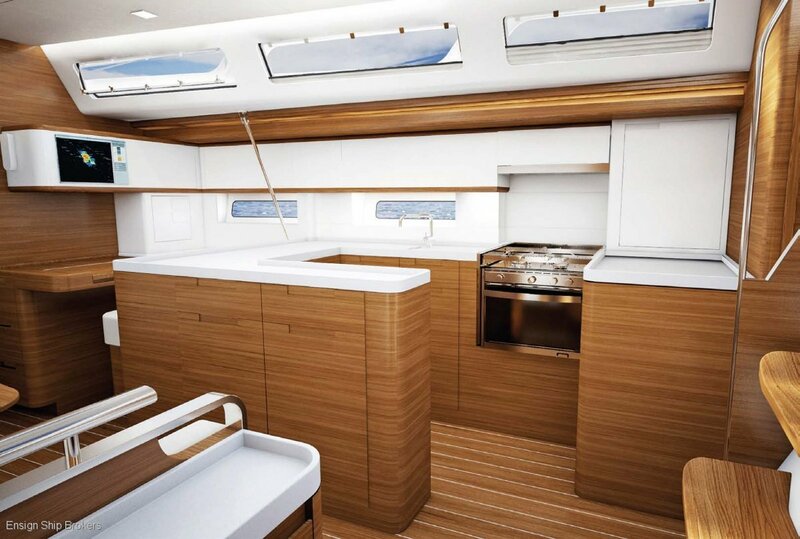 Galley is available either in the stern position or in a central setting with island bench that serves as support for when the vessel is heeled. 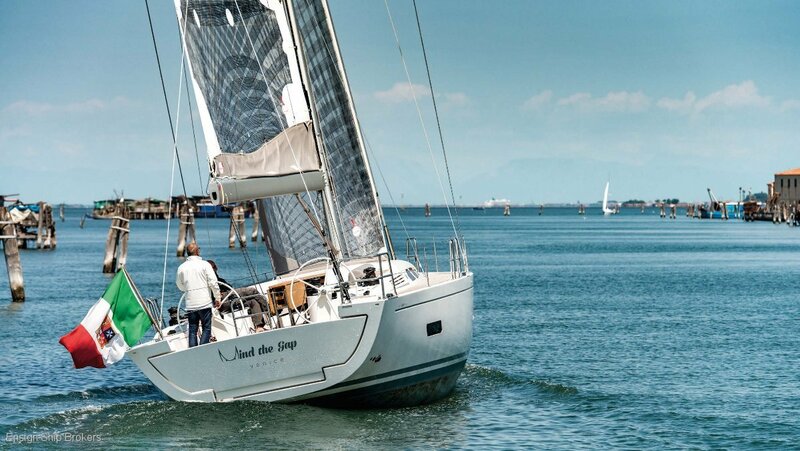 A total of three different arrangements are offered for the bow: (1) as a single cabin with island double bed and bathroom divided into two rooms, with shower completely separate (2) As two cabins, one with double bunk berths, and the other forward with double side berth. 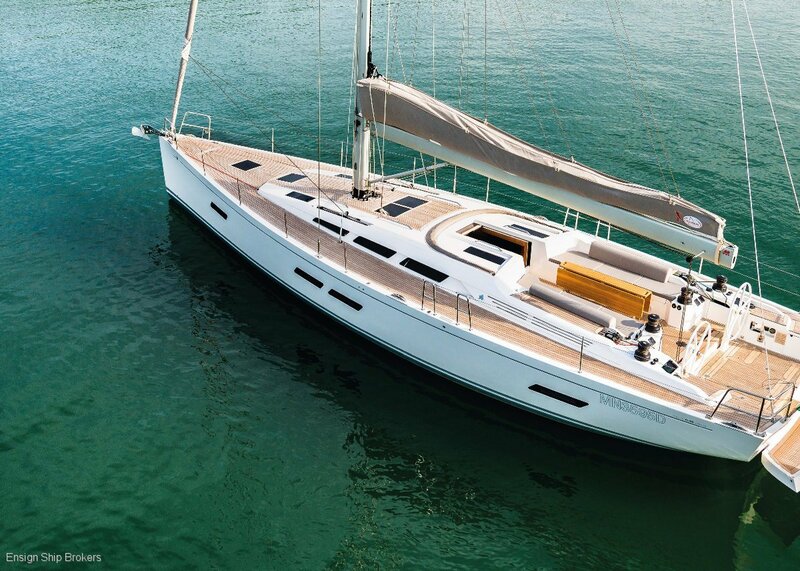 Both of these (1) and (2) versions can have an optional crew accommodation in the extreme bow, with a separate entrance from the deck, complete with sink and toilet concealed. 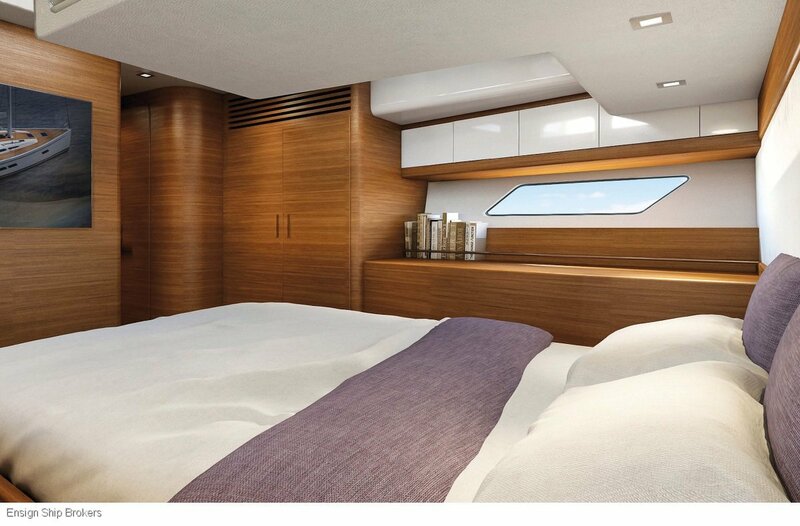 The third version (3) which does not allow the cabin crew, includes a VIP cabin in the bow extreme, with central double bed, and a second cabin with bunk berths, served by a head with separate shower. 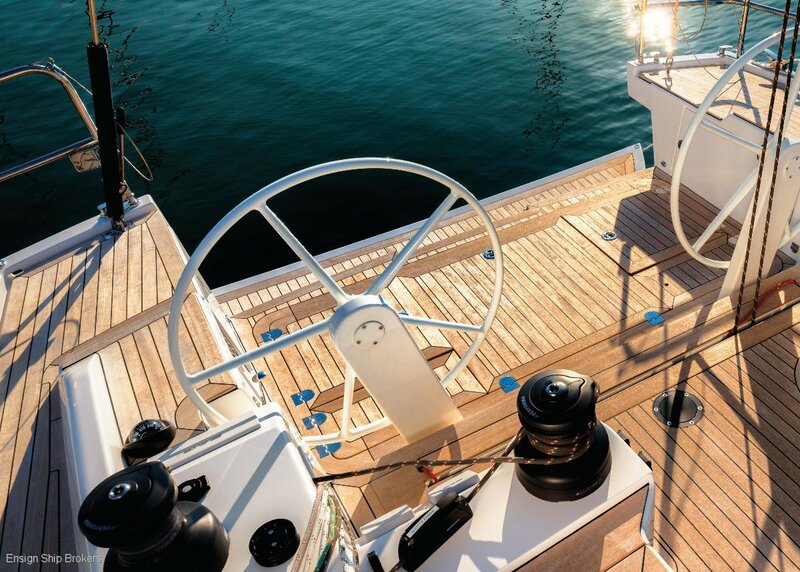 At the stern there are four different solutions. 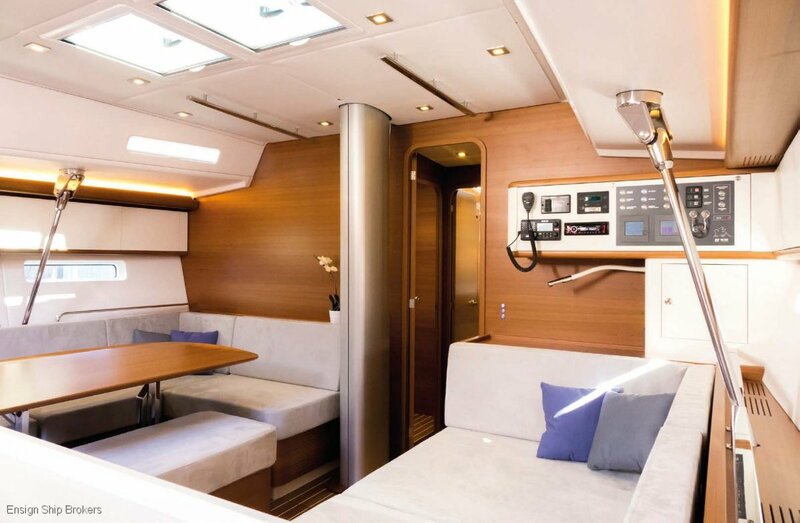 The layout with two twin cabins can vary in the number of heads, one or two, depending on the position in which there is the galley. 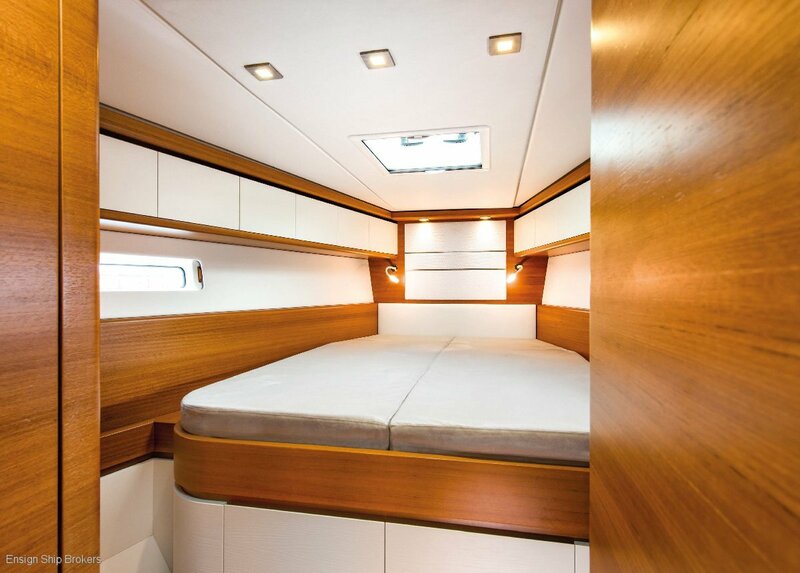 But the real revolution is the ability to adopt a single large owner’s cabin with a double central bed and two different solutions for the head, with integrated shower box or with a completely separate shower place on the starboard side. 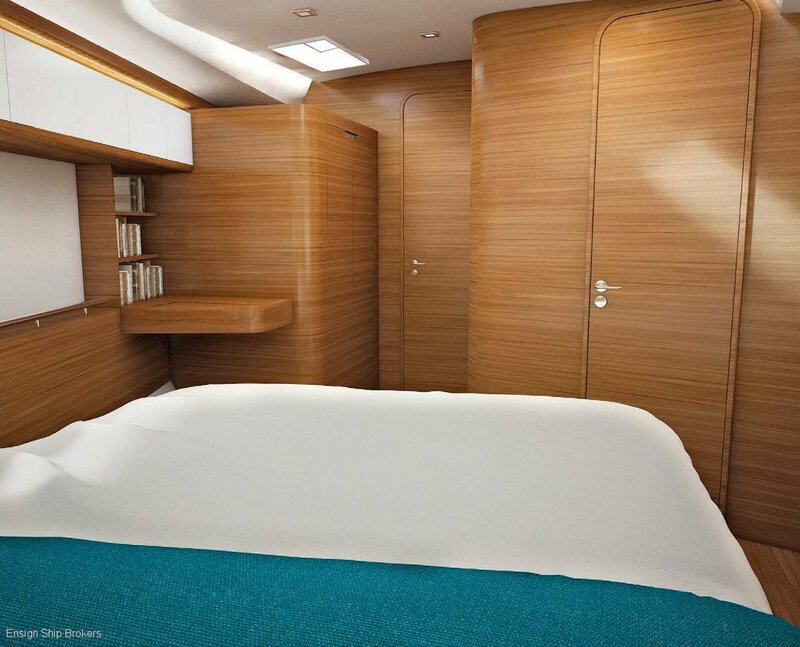 This solution, which is typical of centre cockpit boats, offers the advantages of a true master stateroom in the most comfortable and quiet place of the boat without distorting the aft cockpit layout. 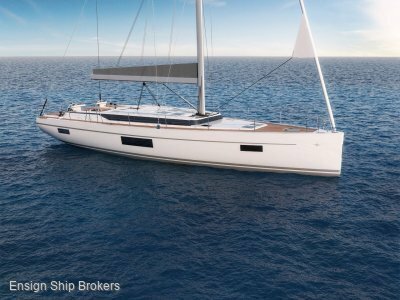 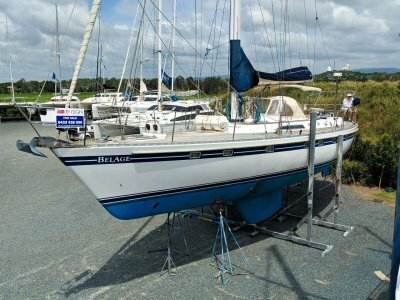 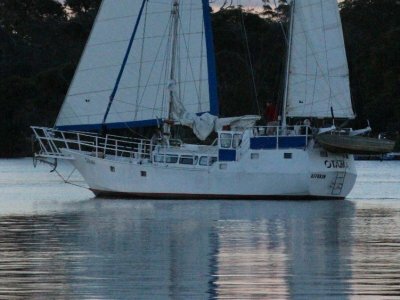 This possibility is particularly appreciated by owners who like to sail in long passages, whilst still maintaining their privacy. 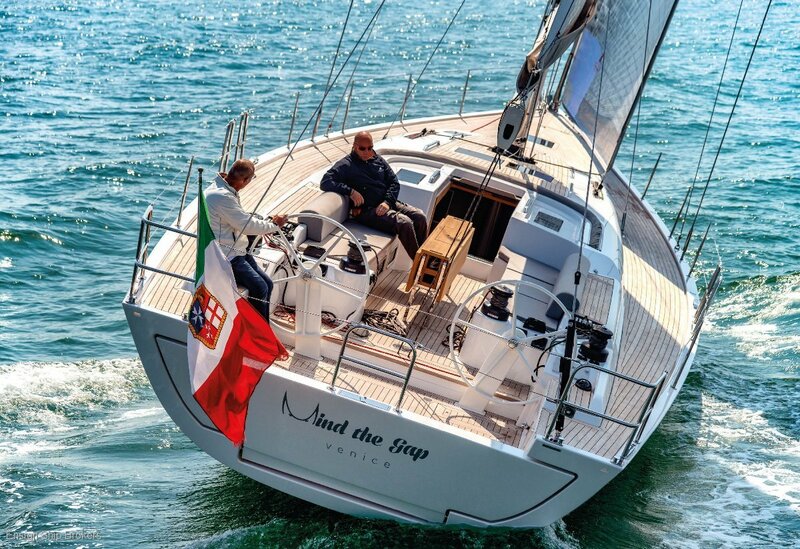 The Italia 15.98 is a serious cruising vessel offering the owner unprecedented levels of customisation for a production built yacht. 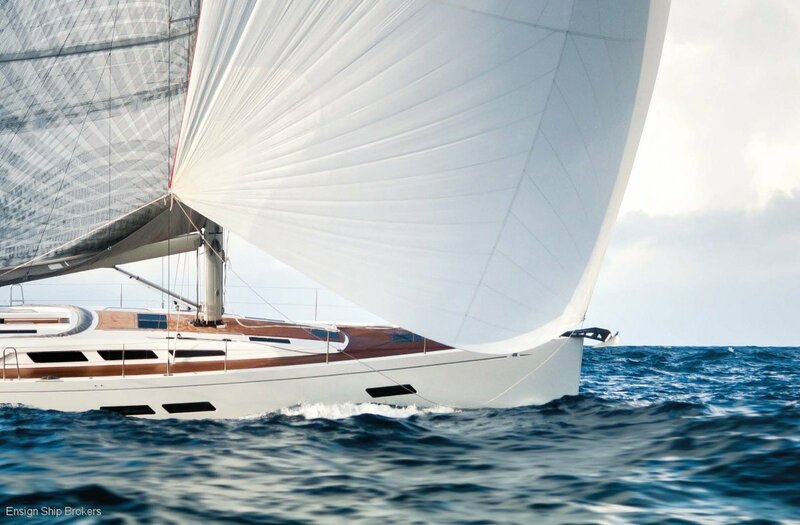 Her performance will astound you, the quality of design impress you and the workmanship leave you with a confidence that this truly is a wonderful yacht to be enjoyed by only a privileged few.